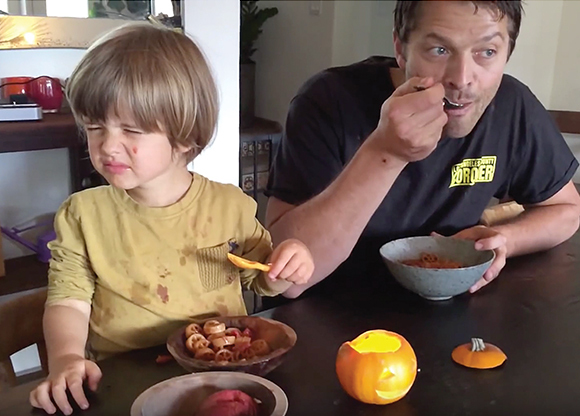 Misha Collins, AB’97, and Victoria Vantoch, AB’97, have two children: son West, 6, and daughter Maison, 4. 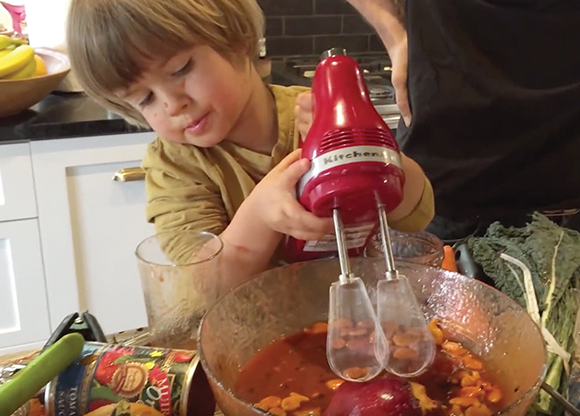 Judging by their YouTube cooking show, Collins and Vantoch also have a superabundance of parental patience and good humor. 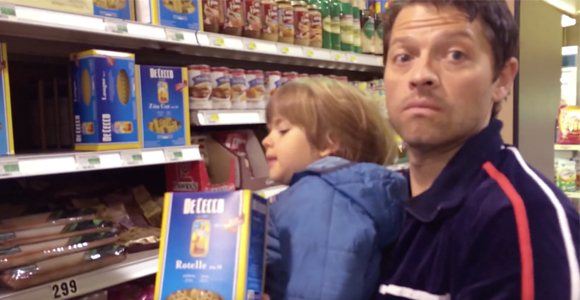 The most recent episode, posted last May, of Cooking Fast & Fresh with West (and Maison)! focused on extreme baking. “Content Advisory: Graphic Culinary Violence,” the video description warns. Both a drill and a circular saw are involved. Mix a small amount of the carrot juice into the canned tomato sauce then mix a small amount of the canned tomato sauce with the bit of carrot juice in it into the jam. Then gently add a bit of the jam with tomato sauce and carrot juice mixture in it back into the carrot juice. Repeat. Pour all remaining ingredients into the large mixing bowl. Wearing goggles, beat vigorously with one beater inside the bowl and one outside. Boil until thick and brown. Serve immediately. Serves 3. Video stills courtesy Misha Collins.